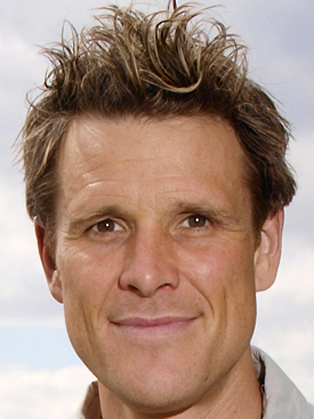 James Cracknell OBE is one of Britain’s most successful athletes of all time, with 2 Olympic Gold Medals and 6 World Championship titles. His epic rowing finals in Sydney 2000 and Athens 2004 were two of the most watched sporting contests in history but it is since retiring from his 13 year international career that James has distinguished himself as a very special and inspiring sportsman, athlete and adventurer. Last year, James finished a phenomenal 12th in the Marathon de Sables (making him the highest placed Briton in its 25 year history). He had already entered the race ‘for fun’ when the Discovery Channel decided it was something that needed filming. Subsequently, he turned his attentions to a new challenge, James Cracknell Takes on America- racing to cycle, run, row and swim from LA to New York in record time. It was during this trip that James suffered a near fatal accident after being struck from behind by a truck while cycling through Arizona. After a difficult six-month recovery period, James went to the Canadian Yukon, completing The Coldest Race on Earth. These stunning adventures transmitted as 'Unstoppable: The James Cracknell Trilogy' on Discovery in April 2011. When not crossing oceans and continents, James is in demand as an entertaining corporate, motivational and after dinner speaker and is an ambassador for Adidas and BMW. He is married to journalist and broadcaster Beverley Turner, with one young son Croyde, a daughter Kiki and they recently welcomed another baby, Trixie. His more sedate activities include a ten-year post as a Daily Telegraph journalist; Olympic presenter for ITV News at Ten in Bejing, and presenter of Channel 4’s Red Bull Air Race and ITV 1’s British Superbikes. James was appointed Sustainability Ambassador by the London Organising Committee of the 2012 Olympic Games (LOCOG). Chosen for his ability to articulate the key areas to combating climate change to a wide audience, James was actively involved in advising on policy issues. He is also a founding partner of sports marketing company Threshold. In 2009, he canoed the historical Devizes to Westminster race, cycled in The Tour de France's Etape, rode a rickshaw from Edinburgh to London with friend Ben Fogle for The Pride of Britain Awards and completed his second sub 3 hour marathon, this time in New York – no mean feat for a man who is 6’4” and weighs 100 kilos! Prior to this, James took part in his - then - toughest journey to date with Ben Fogle and Dr. Ed Coats - The Amundsen Omega3 South Pole Race in December 2008. Suffering frost-bite, infected blisters, dramatic weight-loss, pneumonia and exhaustion, the team traversed the 473.6 miles and were only beaten by a pair of Norwegian polar experts. The BBC showed a 6 x 1 hour, prime-time Sunday night series of the adventure in summer 2009 On Thin Ice. The show was hugely popular. The series was accompanied by a self-penned book of the journey, Race to the Pole (MacMillan). James had first teamed up with Ben in 2005 when they set off in a 7m boat to race across The Atlantic. Despite their ocean-rowing inexperience, the pair were first to arrive in Antigua after 49 torturous days at sea, On their return, James and Ben wrote the critically acclaimed The Crossing and the BBC transmitted RTS award-winning documentary series Through Hell and High Water. Having raised funds for Children in Need during the race, James was asked by the BBC to set out on a journey in which he rowed The English Channel; cycled through France and Spain and finally swam The Strait of Gibraltar, accompanied by comedian David Walliams. It took him a mere ten days to cover just under 1500 miles and raise £340,000 for Sport Relief. James has also managed to fit in a whole host of other physical feats: the inaugural Deloitte Ride Across Britain, The London to Paris bike ride (2008) The New Zealand Coast to Coast race (2007), The Mark Webber Challenge (2006), setting a new world record for paddling The Channel on a surf-board (2005) and he is qualified to represent Great Britain in Triathlon competing at the 2009 European Championships.